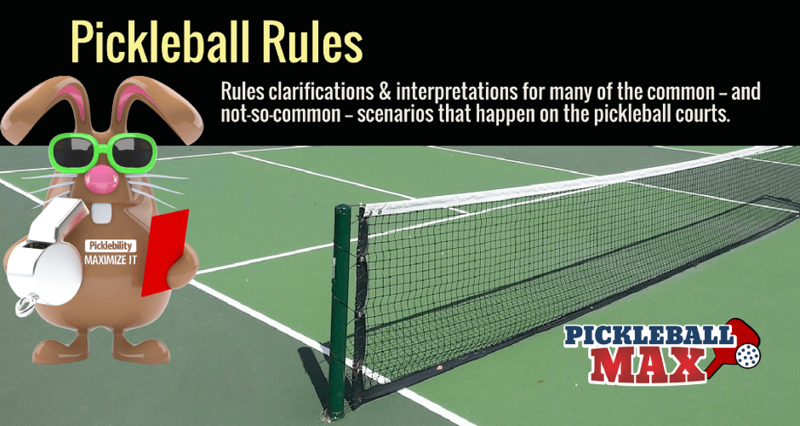 The following blog posts are a compilation of pickleball rules clarifications and interpretations for many of the common — and not-so-common — scenarios that happen on the pickleball courts. 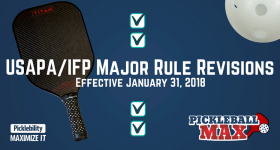 Do I have a legal pickleball serve? 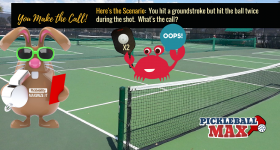 What if my shot hits the net post and goes in? 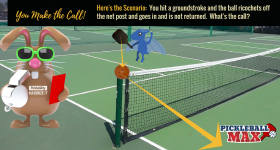 Can I hit a shot "around" the post? 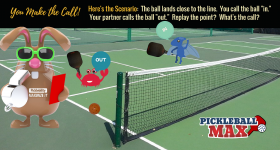 These pickleball scenarios and more will be addressed as we clarify and interpret the pickleball rules. 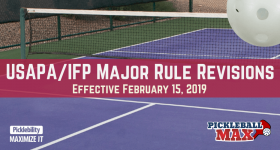 The official pickleball rulebook can be downloaded here: USAPA/IFP Rulebook. 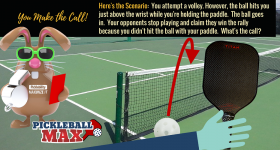 Hitting the Pickleball Twice on the Same Shot — What’s the Rule? 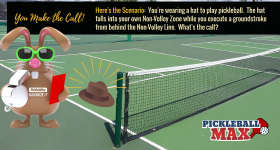 Hat Falls Off and Into the Pickleball Kitchen — You Make the Call! 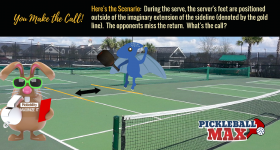 Pickleball Service Foot Faults & Imaginary Extensions — What You Need to Know! 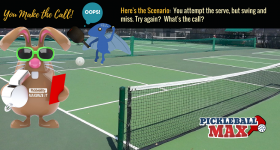 Pickleball Ricochets off the Net Post and Goes In — What’s the Call? 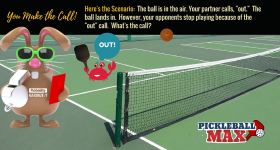 Ball is Called Out Before it Bounces and Lands In — What’s the Call?